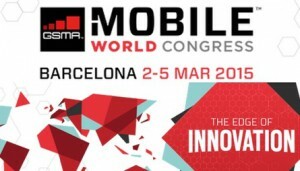 Last week tech companies and press gathered at the Mobile World Congress in Barcelona to unveil the future of mobile. While of course the emphasis was on smartphones and new flagship models, there was a lot of other stuff to see as well. For your gadget thirst, head over to Wired where they lined up the 16 coolest gadgets they saw in Barcelona. In this post I focus on 3 trends from this years MWC. As many (including myself) presented 2014 as the breakthrough year for wearables, the reality is that it wasn’t. That is why wearables were still front and centre at MWC. MWC saw a variety of both new wearables as well as updated versions ofthe Samsung Gear (the tech company released three new products: the Gear 2, the Gear 2 Neo and the Gear Fit), Pebble Time Steel, the Huawei smartwatch and fitness tracker, and the LG Watch Urbane, among others. Arguably the reason why wearables did not quite reached a large userbase is that most devices not only lack functionality, but also look clunky. New products unveiled at this year’s MWC looked less like hunks of metal scaled down to wrist-size, and more like fashionable accessories that you’d actually want to wear. Read this post by Johan Bjärneryd on how 2015 will be the year of the breakthrough for wearables. As I wrote on the blog here last week, because of Moore’s Law, accompanied by the rapid improvement of processors, screens, and accelerometers, driven by the smartphone boom — VR is finally at a tipping point. Both HTC and Samsung unveiled impressive virtual reality technologies at this year’s MWC. Security breaches are increasingly shifting to mobile devices. A company called Silent Circle aims to address the issue of a more secure mobile experience with their Blackphone product. This phone uses encryption and advanced software as well as a secure app system called Silent Suite and Silent Meeting). The products are intended for both corporate as well as personal use. The company announced a Blackphone 2 and a tablet at the event.